Musselwick lies across the bay from Dale in a bay which is sheltered from the prevailing winds. The coast at Musselwick is south west facing and with the reflected light from the water has a special micro-climate. The two holiday cottages have direct access to the beach with private lawned gardens. They are situated either side of the lane. There is The Bungalow with Joan's cottage attached and Sarah's cottage. Both have full oil central heating, open fires, comfortably furnished with well equipped kitchens and modern bathrooms. The beach consists of pebbles, rocks and rock pools, home to crabs and many other sea creatures including mussels and cockles . There are patches of sand that are large enough to keep young children happy for long periods. The Pembrokeshire Coast Path runs around the edge of the grounds offering superb walks straight out of the garden. Bird watchers will see many species on the foreshore with a nature reserve at the top of the bay. The main activity for most visitors to Musselwick seems to be sitting on the lawn watching the dinghy racing, the spectacular windsurfers, the ships and the wildlife. But for those who want more activity there is a wide range of options. Dale is a major sailing, diving and wind-surfing centre and a wide variety of craft can be hired there. At half tide you can walk to Dale within 20 mins. The Bungalow is a spacious Victorian house (Claiming to be the first bungalow in Wales) every room has a sea view. There is access through to Joan's Cottage which was built for the servants. 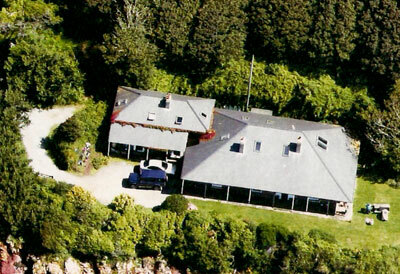 There is a large lawn overlooking the sea, with private access to the beach. Small boats can be launched off the beach. The Bungalow sleeps 7 - 9 and Joan's Cottage sleeps 5 - 7. The Bungalow can be booked on it's own or with Joan's Cottage. If you only want the Bungalow, Joan's Cottage will not be let but may be occasionally occupied by the owners. 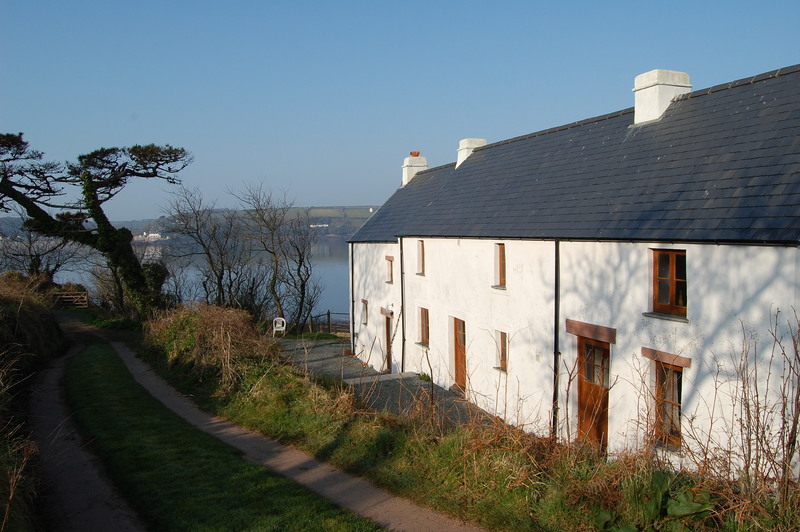 Sarah’s Cottage has been recently renovated from three 18th century fishermen’s cottages. The Cottage has a secluded garden with private access to the beach. The patio has the benefit of the last of the evening sun which sets over the water. The lounge is a cosy room with a wood burner and freesat tv with dvd player. The kitchen is well equipped with range cooker, fridges, freezer, washer/drier, dish washer and ample cooking equipment. There is also a family bathroom and downstairs toilet. The Cottage has full oil-fired central heating.